In my time working with handmade business owners and Etsy sellers, I’ve done hundreds of personalized website and shop critiques. I’ve noticed something really important that I’m going to share with you today. As sellers we need to understand that each page of our site is a separate, individually indexed page on the internet. Today’s episode is about just that. You’ll learn what this means for you as a seller on a marketplace site or your own domain. 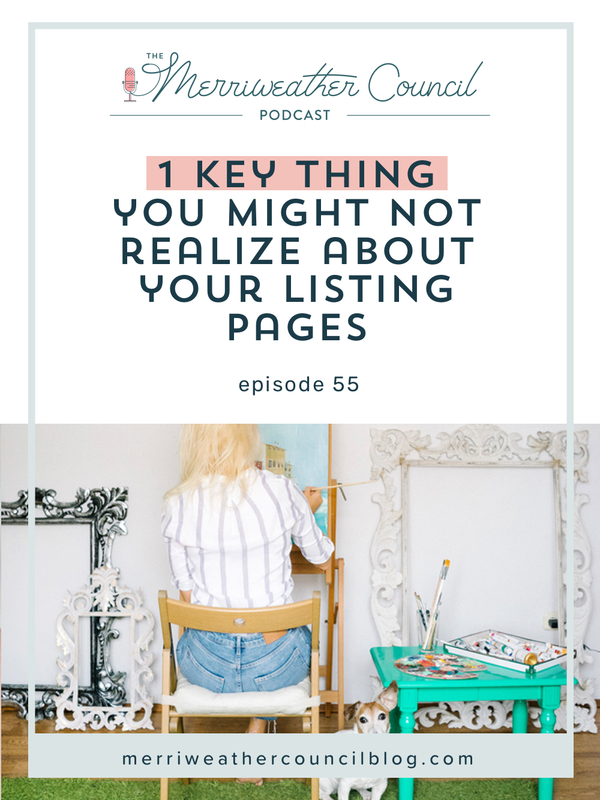 By default you have more than three pages in your shop or on your site so you need to give this episode some good attention. I’m going over exactly how the listings in your shop are likely to be interacted with by shoppers. These individual pages need to be given the same treatment you are likely giving your home page. We know that our home page needs to look amazing, organized, and pretty. It also needs to have clear navigation that highlights what is important to us as vendors and to our customers. We need to apply the same mindset and approach to all of our listings pages as well. I’ll explain exactly why in this episode. Tune in to find out what I’m talking about!